On this day 30th November 1986 this little jem was released, following on from Gremlins and Ghoulies we had another creature feature, this time starring very hungry space aliens, who have found a liking to human flesh. Although marketed as a comedy, it has some great gore moments in, starring Dee Wallace, in once again a small agricultural setting, with a family protecting their farm against these very hungry Aliens. 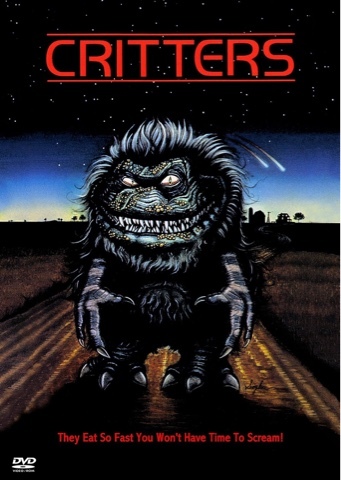 The film was far from perfect, but still a great laugh, spoilt by very cheaply produced sequels, another film once again so set in the eighties, with other alien bounty hunters chasing these Critters, with great 80's mullets, with the one actor looking like Pat Sharp a British Children's TV presenter at the time. A great nostalgic look to, in my opinion the best decade for horror, the decade I have fond memories of, and renting VHS cassettes from my local rental store, something that has long since gone, among the digital age of streaming, oh!!! I do miss the good old days, of renting, and trying to get the rental store clerk, to give me a poster, or cardboard cut-outs of upcoming movies.